Through the judgment of Alda Gross v. Switzerland (No. 67810/10), given on May 14, 2013, the Second Section of the European Court of Human Rights (ECHR) completed the edification of an individual right to assisted suicide (that is to say, consenting euthanasia) in the name of the right to the respect of private life guaranteed by the European Convention on Human Rights. The Section, in a decision reached by only four votes against three, justified its judgment by referring to the general concern that “in an era of growing medical sophistication combined with longer life expectancies, many people are concerned that they should not be forced to linger on in old age or in states of advanced physical or mental decrepitude which conflict with strongly held ideas of self and personal identity” (§ 58). This decision follows the rulings of Pretty v. United Kingdom (No. 2346/02 of April 29, 2002), Haas v. Switzerland (No. 31322/07 of January 20, 2011) and Koch v. Germany (No. 497/09 of July 19, 2012), in which the Court progressively elaborated “an individual’s right to decide by what means and at what point his or her life will end, provided he or she is capable of freely reaching a decision on this question and acting in consequence” (Haas § 51). In Koch, the Court went a step further by ruling that judges should be able to consider the individual merits of a wish to resort to assisted suicide, even if it is prohibited by penal law, and so decide on a case by case basis. Now, in Alda Gross v. Switzerland, the Section has, in substance, condemned the conditioning by medical norms of the effective exercise of the right to assisted suicide, and the exclusion by these norms, in principle, of assisted suicide by people in good health. In this case, the plea for suicide did not concern a “medical case” of an ill person wishing to end their life, but an elderly person with no clinical illness who had grown tired of living. This woman was refused the medical prescription of a fatal dose of poison (Sodium Pentobarbital), as her good health prevented her from fulfilling the conditions provided by the Code of Professional Medical Conduct and the Medical Ethics Guidelines adopted by the Swiss Academy of Medical Sciences. According to Swiss law, incitation to and assistance in suicide are only culpable offenses when they are committed for “selfish motives” (Swiss Criminal Code, Article 115). 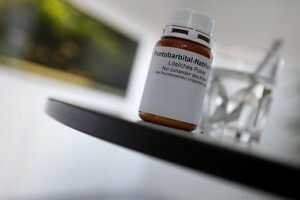 The Swiss Federal Supreme Court has specified, in the application of legislation relating to drugs and medication, that the poison can only be given by medical prescription and that this prescription is only valid on the condition that the doctor respects the rules of the profession, in particular the ethical guidelines adopted by the Academy of Medical Sciences (Judgment of November 3, BGE 133 I 58). These guidelines notably relate to the patient’s health – who should be ill and coming to the end of their life – and to the expression of their will; they aim to protect the patient against outside pressure and impulsive decisions. As in the rest of Europe, medical practice is governed by norms of a diverse nature. In this case, as no specific statutory regime concerning the practice of assisted suicide had been adopted by the legislator despite its attempt between 2009 and 2011, it was these general rules of medical law that were applied, which exclude the issue of such a substance to a healthy person. It was on this issue that the majority of the Section censored the Swiss system: it felt that the law, not deontological norms, should govern the conditions for the prescription of the poison. This judgment rests on the notion that suicide has acquired the quality of an individual right or freedom (§ 66), and so a deontological norm cannot impede its exercise: it is for the law to regulate, even if it is realized through the art of medicine. If this judgment becomes final, Switzerland will have to adopt a legal framework defining the conditions of the exercise of the right to assisted suicide for everybody, regardless of their health. These legal provisions could just as easily confirm the deontological norms, as it could contradict them. This conclusion logically follows from premises that human rights and medicine’s primary purpose is to serve the will of the individual, even if that individual wishes to die, rather than to protect and care for him possibly against his own will. In this regard, individual autonomy appears as the new primary value of the Convention, even above the respect of life. In practical terms, the judgment puts this liberal approach into action, by ruling that the prescription of poisons should be removed from the “paternalistic” field of medicine and placed in that of civil liberties. The Court has already done this with the regulation of abortion in Polandand Ireland (eee Tysiac v. Poland, No. 5410/03, March 20 2007, and A. B. and C. v. Ireland, [GC], No. 25579/05, December 16 2010). Once again, the Court is divided on a social issue (see X and Others v. Austria, [GC], No. 19010/07, February 13 2013). Four judges (Lorenzen, Sajó, Vu?ini?, and Keller) imposed their decision on three others (Jo?ien?, Raimondi and Karaka? ), at the price of the Court’s unity and the prudence of its case law, both of which are essential conditions of its authority. What will be the authority of a judgment adopted by a majority of one vote on such a controversial subject, especially when it goes against the explicit wording of the Convention, where Article 2 outlines the State’s obligation to respect and protect the life of “everyone” and the principle according to which “no one shall be deprived of his life intentionally” ? This judgment also goes against the vast majority of European legislations prohibiting assisted suicide; it ignored the national margin of appreciation as well as international norms such as the ones of the Parliamentary Assembly of the Council of Europe (PACE), which has recommended “upholding the prohibition against intentionally taking the life of terminally ill or dying persons” (Recommendation 1418 (1999)) and declared that “euthanasia, in the sense of the intentional killing by act or omission of a dependent human being for his or her alleged benefit, must always be prohibited.” (Resolution 1859 (2012)). Alda Gross v. Switzerland, No. 67810/10, 14th May 2013, § 58. Federal Law on Narcotic Drugs and Psychotropic Substances of 3rd October 1951, and Federal Law on Drugs and Medical Devices of 15th December 2000. God is the sovereign of all our lives, even over “strongly held ideas of self and personal identity”. Who among us could have created ourselves? If we can’t create ourselves, how can we terminate ourselves? We need to give the terminally ill hope, hope beyond this limited world. Life is worth fighting for, even if the battle is eventually lost.